The Quebec government has finally unveiled the controversial immigration policy that it campaigned on. Bill 9 was introduced by immigration minister Simon Jolin-Barrette on Thursday morning. “The Tinder of Immigration,” as it was dubbed by Jolin-Barrette, seeks to match prospective immigrants to the labour force and will introduce a Quebec values test. The bill proposes to empower the Quebec government to cancel all current applications once the bill has passed into law. It will refund the 18,000 applicants that are currently in process and have them re-apply under the new system. This will be devastating to applicants who have been waiting for years on the list. This move will also require that the government reimburse the applicants, which will cost the treasury $19 million. It should also be noted that because the federal government grants permanent residency, this law would require amendments to federal legislation. Jolin-Barrette stated that the Quebec government has not discussed the particulars with the federal government as of yet. 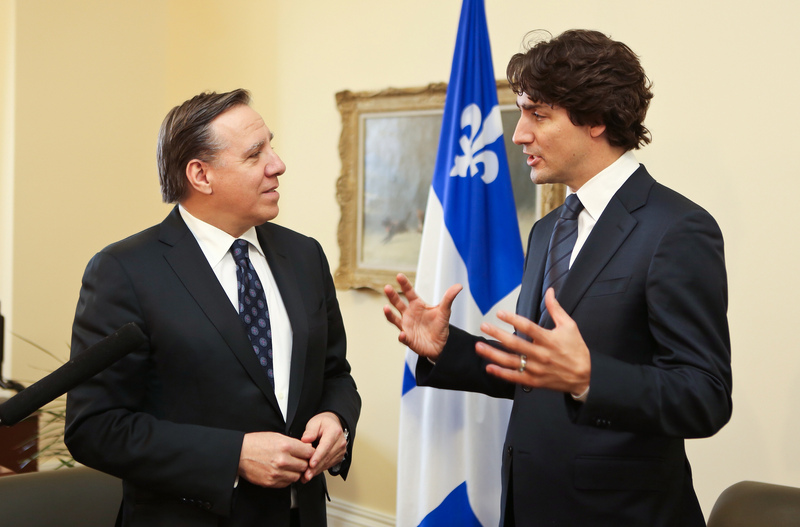 Prime Minister Justin Trudeau has already met with Premier Francois Legault concerning the immigration plan. He has suggested that the Quebec government rethink their plans to cut immigration due to concerns from business owners. However, he has not commented on this proposed values test. The Minister for Intergovernmental Affairs Dominic LeBlanc has stated that they are not favourable to the permanent residence condition. Conservative Party leader Andrew Scheer has promised more autonomy for Quebec on matters of immigration, if he should win the federal election later this year, but has not commented on the proposed legislation. Bill 9 also prioritizes an applicant’s ability to speak French, potentially displacing any immigrants that have been approved by the federal government under temporary worker laws. Even after working in the province for up to two years, it is possible under this new legislation that their application for permanent residency will be refused if they do not pass the requirements. This follows Premier Francois Legault’s statement that Quebec will seek an increased number of immigrants from Europe, despite the fact that only 12% of the EU population speaks French as their mother tongue. Moreover, several non-European countries that have large French-speaking populations, like Haiti, have accounted for a large portion of immigration throughout the years. The most ambiguous part of this proposal is its definition of Quebec values. Although Quebec values have been loosely defined as including “equality and human rights” and “democratic values,” it is still unclear how a “values test” could assess the extent to which immigrants adhere to these vague norms. Jolin-Barrette has said the government will clarify the procedures once the bill has passed into law. This follows the comments that Isabelle Charest, the minister responsible for the Status of Women, made about the hijab as a symbol of oppression. Quebec’s overall hostility towards Muslim populations, under the guise of religious neutrality, will certainly play a part in the government’s implementation of a values test. It should be noted that immigrants from predominantly Muslim countries like Algeria and Morocco account for one of the highest portions of French-speaking immigrants to Quebec. In contrast, immigrants from France account for only around 10% of admitted immigrants. Considering that the proposed values test may potentially alienate a large portion of the French-speaking immigrant pool, the Quebec government may find that it will affect its ability to fill in labour shortages. As the bill passes through the National Assembly, it will need to clarify some of its positions. Although it states that all measures comply with the Quebec charter of human rights and freedoms, an expansion on the specifics of the proposed values test may pose a challenge to the Canadian Charter of Rights and Freedoms—especially in light of the government’s other constitutionally ambiguous measures. The new CAQ government’s ambition is unfettered as they fulfill their campaign promises one by one. With the upcoming federal election, it will be interesting to see if the federal government will be able to mitigate some of its more controversial policies or further affirm that Quebec is a distinct society within Canada.